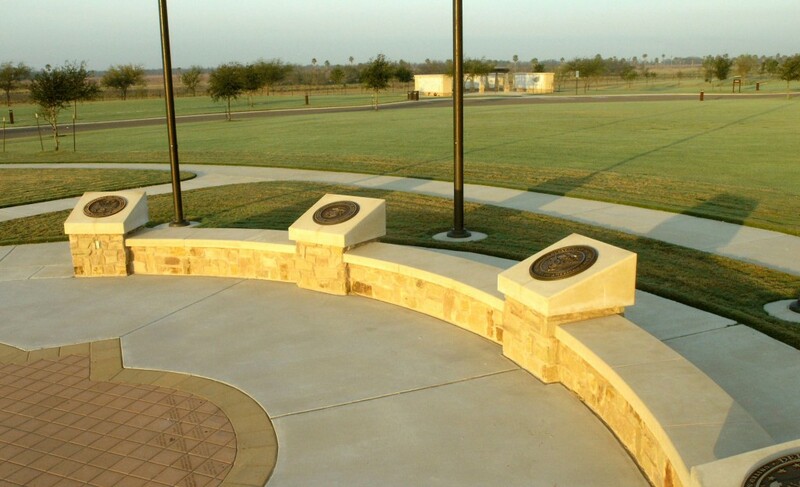 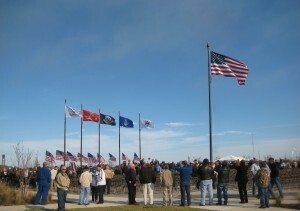 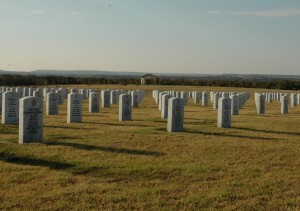 Sited on a former agricultural field on the Rio Grande River in Mission, Texas, this cemetery required substantial aesthetic enhancements in order to serve as an appropriate setting for Texas veterans. 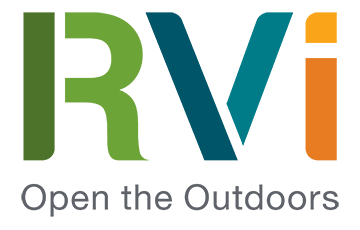 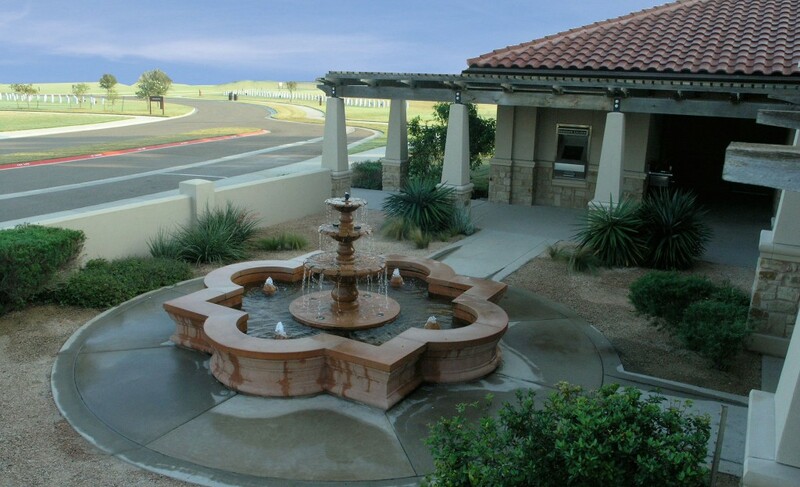 The design and engineering team developed site solutions that addressed a series of challenges, including the design of a pump and filtration system that would facilitate the use of a regional canal for irrigation. 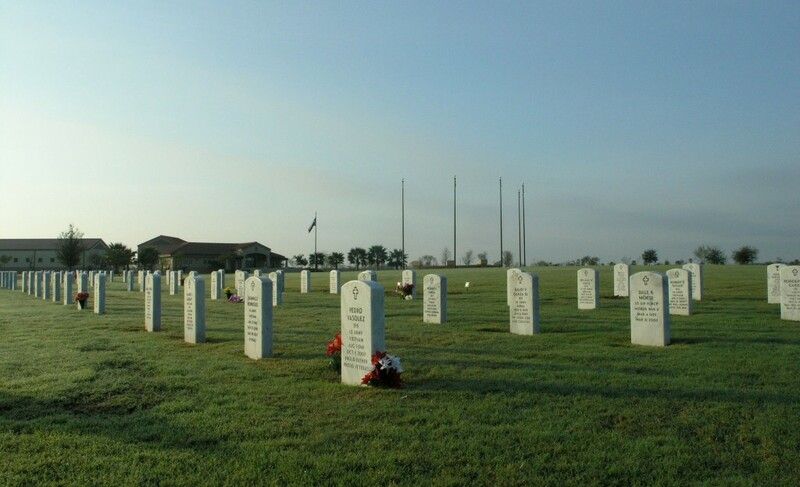 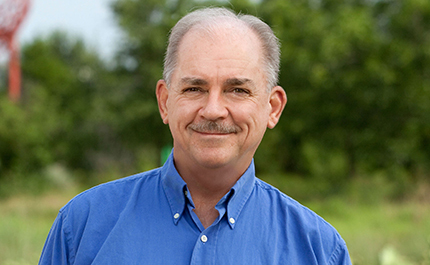 Based on a master plan calling for 25,160 gravesites, Phase One included an administration and maintenance building complex with a gravesite locator, public restrooms, a central assembly area, committal service shelter, and a columbarium. 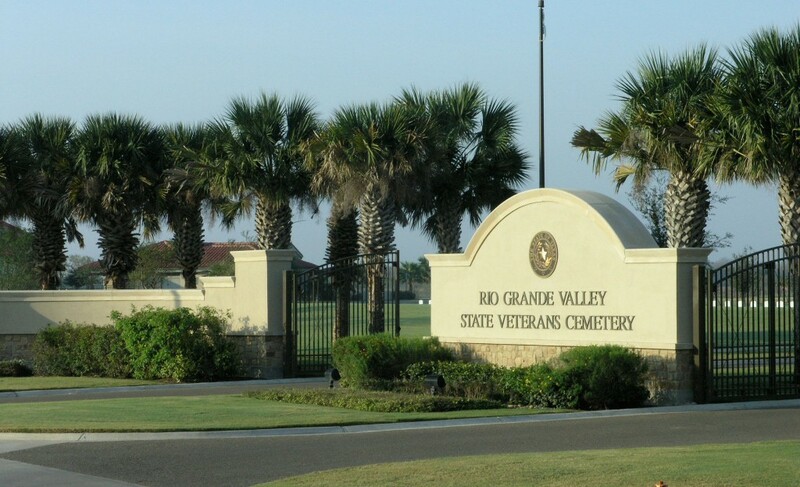 Architectural and site design incorporated the stucco and red tile vernacular common to the Rio Grande Valley. 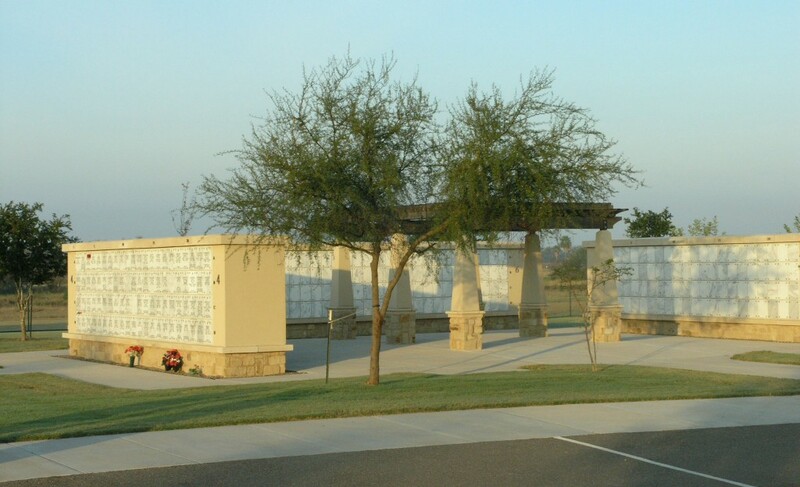 Working collaboratively with PBS&J, Komatsu Architecture, and The LA Group, RVi developed a landscape design that established an appropriate cemetery setting, while acknowledging the region’s hot dry climate and promoting conservation of the State’s maintenance and water resources.